MUCH MORE THAN 5 A SIDE. The number one home for 4 a side, 5 a side and Futsal indoor football leagues in Warwickshire. Sports Connexion has the biggest and best indoor football leagues in Coventry, Warwickshire. Junior to adult teams have played Monday to Friday in 5 a side football leagues with us for over 25 years. 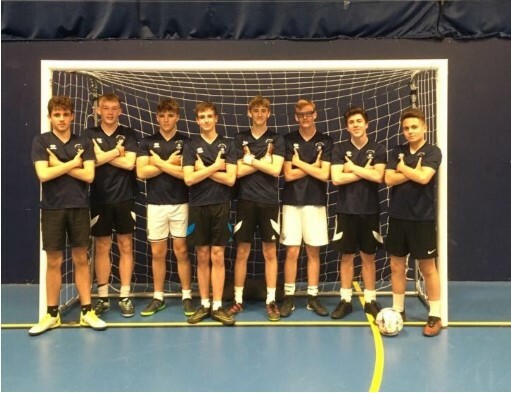 With over 100 teams playing five nights a week right here in the West Midlands, isn’t it time you came to join the Sports Connexion 5 a side football family? Sports Connexion has 2 main football arenas with 11 football pitches. Being indoors, we are never affected by the weather, so if you want to play football year-round, come and join us. We are FA affiliated for indoor football leagues for adults, juniors and ladies, as well as 4 a side football leagues and our up-and-coming Futsal divisions. Or come and join an indoor football tournament, played regularly. With so many teams and so many games each week, you’ll find a time, format and indoor football league to suit you. Take Your 5 a side Football to the Next Level. Being FA affiliated, you can also enter The Football Association’s regional and national 5 a side and Futsal competitions with Sports Connexion. All our games are played to the latest rules and regulations, taken straight from FA headquarters. No need to try the rest…come and play with the best! • FREE first game at Warwickshire’s home of 5 aside football leagues. • Come and play as a single player or with a team, there’s a space for everyone! • Join in regular 5 a side football tournaments, cup competitions. • Choice of nights to play Leagues games (Monday – Friday). • Enjoy free parking and a warm welcome from our friendly staff. • Watch all football games and endless sport live on our 5 large screen TVs. • Relax afterwards with a sports drink or a favourite beer one of our two bars. • Play to win a League Trophy. Your Local 5 a side Football League. 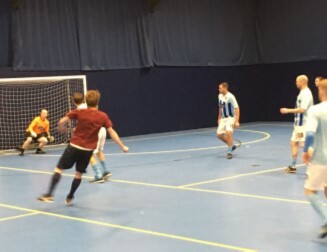 If you want to play indoor football in the Coventry or West Midlands area, Sports Connexion is your local club. Find us easily located between Coventry and Leamington Spa, in easy reach of Rugby, Stratford, Nuneaton and the rest of Warwickshire and the West Midlands. Which League are you looking to join*? to contact you regarding our products and services.